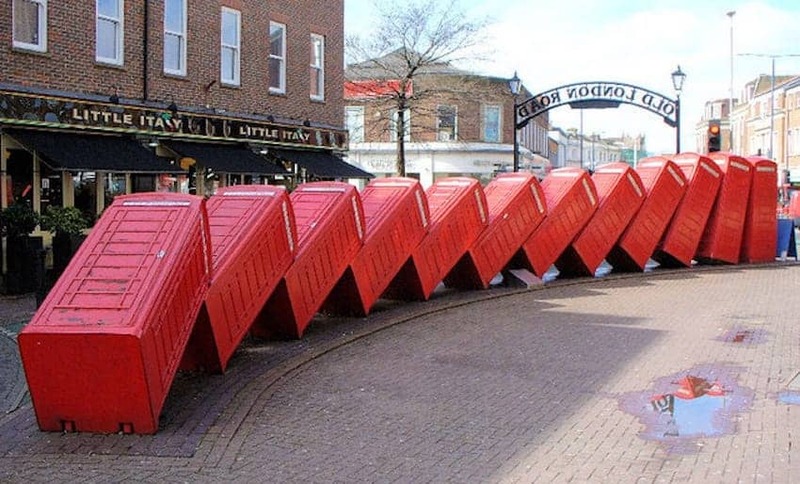 One of the more unusual sights in Kingston is Out of Order by David Mach, a sculpture in the form of twelve disused red telephone boxes that have been tipped up to lean against one another in an arrangement resembling dominoes. The work was commissioned in 1988 as part of the landscaping for the new Relief Road, and was described by its creator as anti-minimalist. Dividing opinion, there has been a petition for its removal while others say the sculpture has put the Kingston on the map.